We take great pride in the custom work we do for our customers. While complete customer satisfaction is our goal, because we work with a natural product there are times when questions arise about expectations. We guarantee your satisfaction for a period of 1 year from the date of shipment. We repair and/or exchange of any product proved defective under normal use and care. Replacement only of materials that were supplied. Any additional costs such as finishing, labor, etc. will not be included. In order to guarantee against warping of more than 1/4 inch, any door over 24 inches wide and/or 44 inches high will require two panels. If the customer specifies a single panel door over 24 inches wide and/or over 44 inches high, it will carry no guarantee. It is recommended that you inspect the products before you have them finished. An 80 micron finish may not be adequate for all woods and/ or stains. It is up to the customer to decide if further sanding is required. 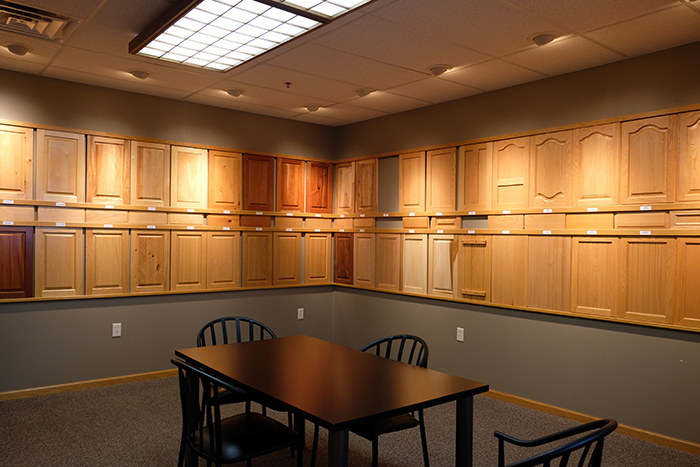 Distinctive Door Designs, Inc. doors are manufactured with a 150 grit cross grain scratch front and back. For an additional charge, products can be run through an orbital sander which will remove the 150 grit scratch and leave an 80 micron (190 grit) finish. Distinctive Door Designs, Inc. does not guarantee that our products are finish-ready when you receive them. Distinctive Door Designs, Inc. reserves the right to inspect all damage claims.